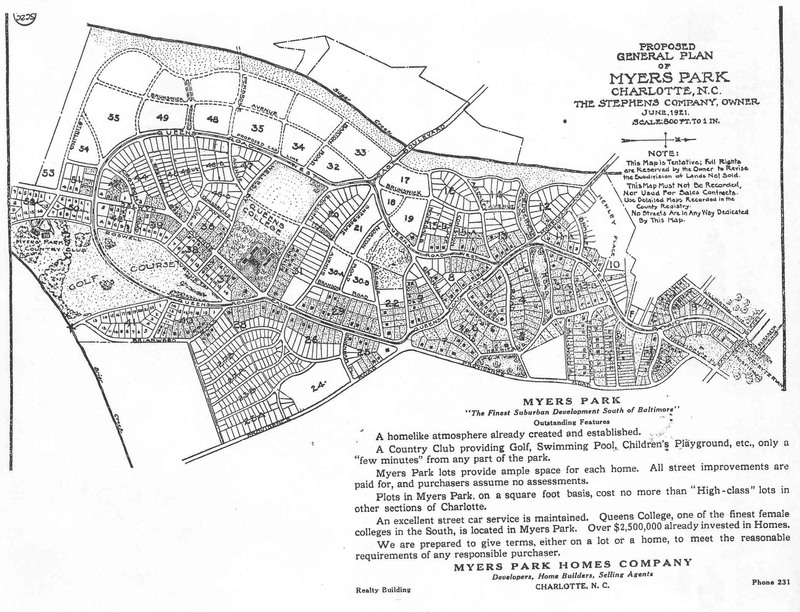 The graphic below is just a snippet of a planning map prepared by what was then known as “The Myers Park Home Company”. If you click on the map you will get a scaled down version of the map. Click on it again when the screen opens for the full size version. You’ll find the text to describe the area very interesting!